Motto: Where the Rogue River Runs; It's the Climate! Grants Pass is a city in, and the county seat of Josephine County, Oregon, United States. The city is located on Interstate 5, northwest of Medford. 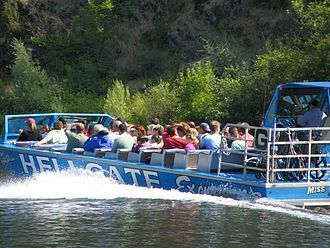 Attractions include the Rogue River, famous for its rafting, and the nearby Oregon Caves National Monument located 30 miles (48 km) south of the city. The population was 34,533 at the 2010 United States Census.